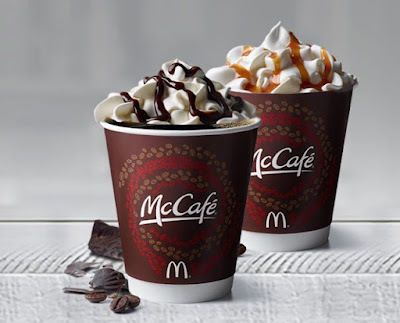 McDonald's is running a nationwide deal to promote their McCafe drink platform by offering any-sized hot drip coffee for $1 and any small McCafe latte or other hot specialty beverage for $2 for a limited time at participating locations. Hot specialty McCafe drinks include mochas, lattes, and hot chocolate. There's also a loyalty "punch card" available on the McDonald's app where you can get any size McCafe drink for free after you buy any five McCafe beverage. While the pricing special might be new nationwide, it was running regionally in some areas since, at least, last year (since late fall here in Southern California).